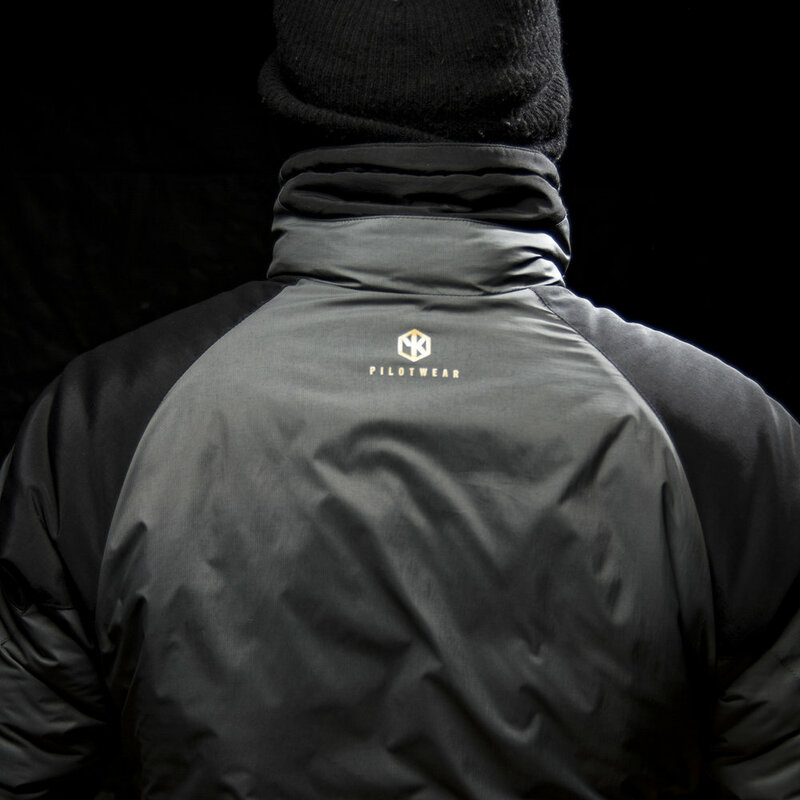 3 years in the making, The Ridge DE Pro Pilot Jacket is finally here. We have been through loads of prototypes, numerous designs and whole lot of hard work to get here, but it has been worth it. To help prevent wear and damage caused by the harness, The Ridge DE Pro has heavy duty yet flexible Cordura reinforced shoulder panels. 2 large pockets on each arm with YKK zips and internal access for comms. The 2 large front chest pockets are designed to allow a gloved hand through the opening and feature YKK Aquaguard zips, internal comms access and integrated D-rings. Designed without a hood to help eliminate parasitic drag and increase safety when using a paramotor. High-rise collar with soft beardguard lining for comfort and integrated draw strings to retain core warmth. Longer arm length and an integrated thumb loop design to prevent sleeves from riding up the arm when raised in the flying position.